Here at DeanHouston+ we understand how critical the task of creating installation, operation, configuration, maintenance, procedure guides, quick-reference guides and other technical documents is for our industrial clients and their customers. OPW Fuel Management Systems (OPW FMS) has an extensive library of technical documents. A few years ago, OPW FMS was swimming in a sea of new products, thanks to the hard work and dedication of its brilliant engineers. However, since the engineers were so busy creating the new products and product upgrades that make their customers’ businesses more productive and profitable, they often found themselves with insufficient time to write and produce the required technical manuals and documentation that must accompany the products. Rather than run away from the intense, often time-consuming, challenges associated with tech-manual creation, DH runs toward them! Against the turbulent waters of FMS’s tech-manual challenge and true to our 30-year heritage in the development of business-to-business communications pieces, DeanHouston+ dove headfirst into the issue to find the solution. First, a comprehensive review and inventory of all OPW FMS documents by part number and revision level was initiated. Then the target audience for the manuals was determined, the language simplified and streamlined, the development and maintenance platform standardized, and a new single-source authoring system and brand template were created. 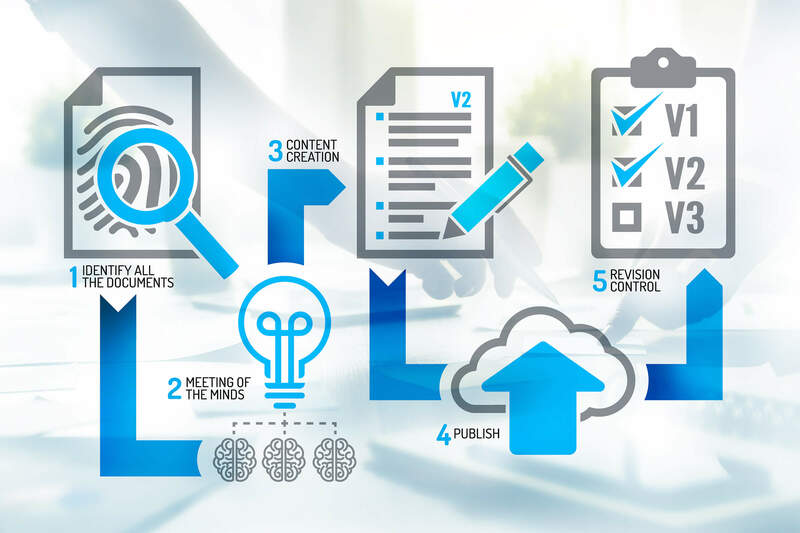 All of this enabled us to leverage the existing content, while creating a process that would make revisions more efficient and reduce deliverable times. Bottom line: OPW FMS was extremely pleased with the results. DeanHouston+ had completely revolutionized OPW FMS’s tech-manual processes, with the new streamlined system enabling the engineers to not only continue to produce industry-leading products, but also have the time to assist in building the many forms of technical documentation that must accompany them.